Alexandre Verkinderen is a technology passionate, evangelist and subject matter expert in cloud, virtualization and management. He is a Hybrid Cloud Architect and actively assist large organizations to help them envision architect, implement, configure, and customize their Microsoft Cloud solutions. Alexandre is an ITIL- certified engineer and strives to deliver quality on every single assignment he has. Additionally he believes strongly in sharing knowledge amongst his peers. He has experience in customer facing roles and had success leading technical and economic value discussions with senior customer executives that drive key decisions and implementation. The success is a result of ongoing collaboration with generalists and specialists in the MSFT field and delivery teams (including partners, services, product engineering). 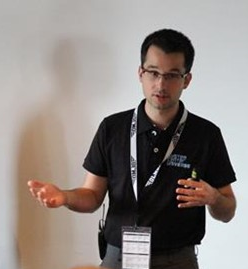 As an industry expert and MVP Alexandre is a frequent speaker and ask-the-expert guest at both national and international events. In line with the continued education principle Alexandre can also be found at both national and international industry events to stay on top of what is moving in the industry, watch industry trends, and analyze how this might benefit its customers.